Say cheers to this holiday season with our take on some festive drink classics. Grab your friends and family, toss on your ugly Christmas sweater, and stir things up! Look no further for a winter cocktail to kick off the holiday festivities. This recipe calls for the perfect combination of chocolate and Kahlua with smooth hints of pumpkin. 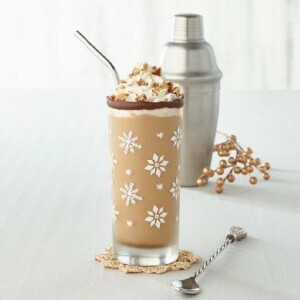 Fill cocktail shaker with ice, then add vodka, coffee liqueur, cream, and pumpkin pie spice. Shake well. Strain into chocolate syrup-rimmed tall glass. Substitute your favorite flavored coffee creamer for the heavy cream. Add some finely crushed pecans for additional garnish. If you have a nut allergy or just want to add a creative touch, substitute white chocolate shavings or mini morsels for the pecans. Serve the Pumpkin Spice White Russian with an assortment of Irresistible Desserts and other sweet treats. When the temperature drops, warm up with a sweet and spicy cider. This delicious recipe is a palate pleaser—we promise! 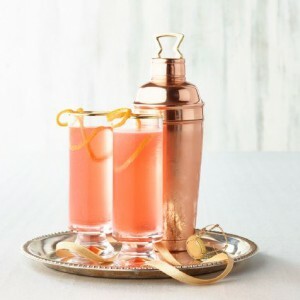 Fill cocktail shaker with ice; add cider, rum, and triple sec. Shake well; pour into a serving glass. Top with club soda. Garnish with apple cubes or cinnamon sticks. Dip the rim of a rocks glass in cinnamon sugar before adding the cider mixture. Try substituting cinnamon bourbon for the dark rum. Serve with Cranberry Almond Chicken With Beet Spinach Salad. For a drink filled with holiday spirit, you’ll want to reach for this spiked eggnog. Combine all ingredients except nutmeg in a highball glass. Stir well. Top with a sprinkle of nutmeg. Before mixing the drink, dip the rim of a highball glass in crushed ginger snaps for an unexpected flavor explosion. Replace the bourbon with a maple bourbon to intensify the flavor. Serve with chocolate-covered strawberries or a rich chocolate dessert from the Publix Bakery. 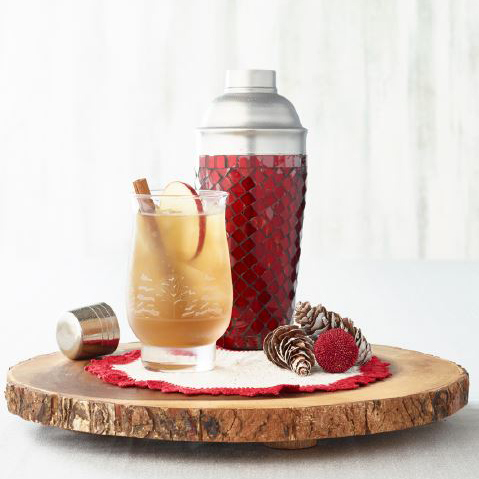 Toast to the holidays while enjoying our twist on this classic beverage. With refreshing ingredients such as cranberry and orange, it will make any dreary day a little brighter. Let’s raise our glass to another wonderful season! Fill a rocks glass with ice; add all ingredients except garnish. Stir well. Garnish with an orange wedge. Use a berry blend juice or a dark grape juice instead of cranberry juice for heightened taste. Use a lime or lemon wedge, instead of an orange wedge, to add a little tartness. Pick up a Publix Deli rotisserie chicken and potato salad for a quick weeknight meal. Out with the old and in with the new! Cheers in the new year with this unique champagne cocktail. Fill shaker glass with ice; add vodka and Campari. 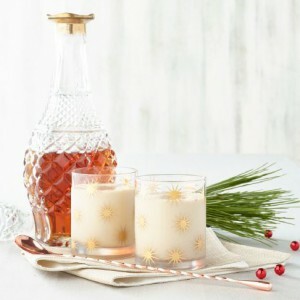 Shake well; strain into a chilled Champagne flute or cocktail glass of your choice. 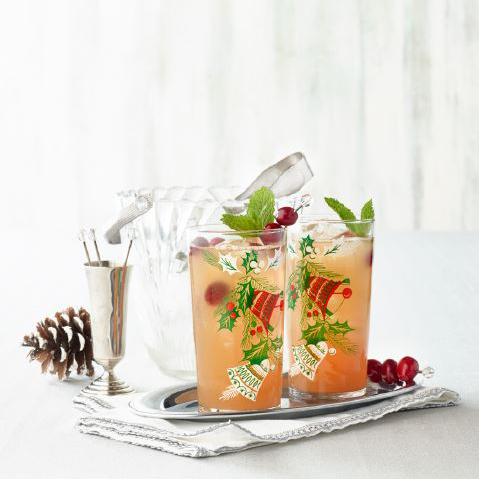 Garnish this cocktail with a selection of seasonally fresh berries. Serve with a selection of Publix sushi, Publix Deli fried chicken tenders, and other Party Hors D’Oeuvres. Let us know what you think of our holiday cocktails. Don’t forget to swing by your local Publix Liquor Store for everything you’ll need to serve up your holiday favorites.